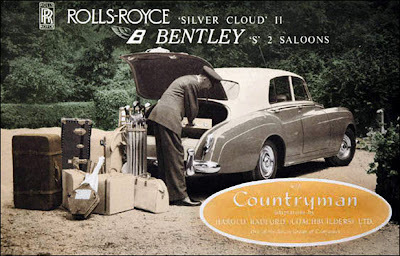 Bentley Adaptations by Harold Radford. 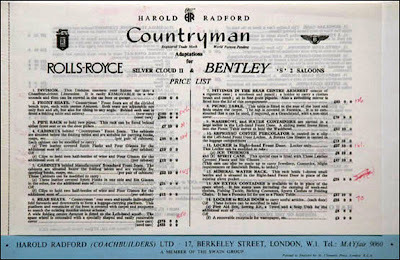 When you see a Harold Radford coachwork name badge, the car is always going to be interesting. 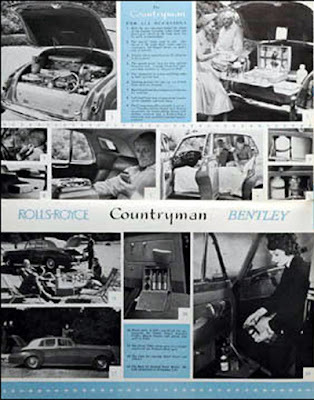 Take a look at the advertising from 1961. 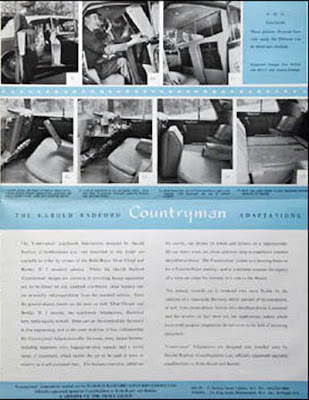 The Harold Radford Countryman Adaptations. 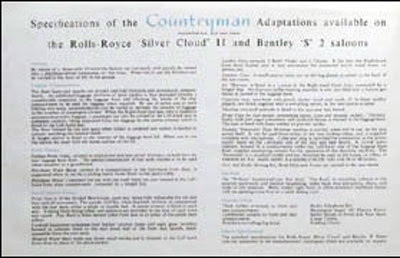 Specifications of the Countryman Adaptations available on the Rolls Royce "Silver Cloud" II and Bentley "S" 2 saloons. In town... and out of town. 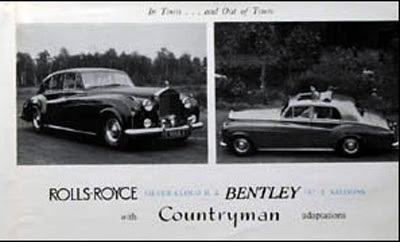 Now if you are interested, one is currently for sale in Australia. 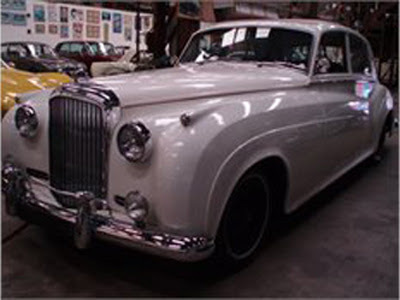 It is a 1956 Bentley S1 for sale here. 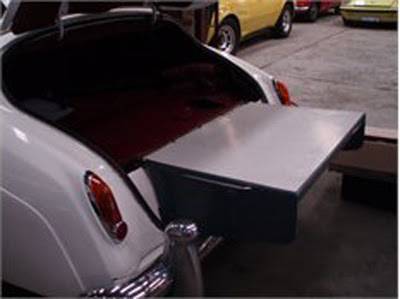 "This is a very rare car, it is a Harold Radford 1956 S1 Countryman. 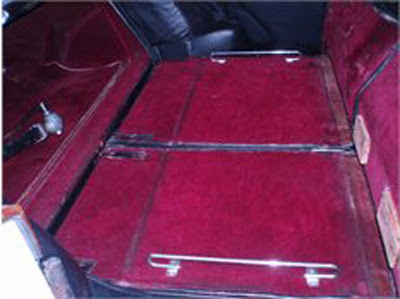 It has a sunroof, the back seats fold down,the front seats go right back good for sleeping, there is a table at the back of the boot that folds in and out, the two front doors have cabinets for storeing, at back of the two front seats wine and glass holders. 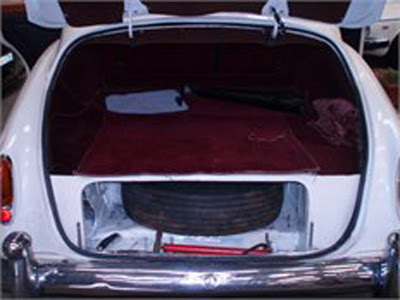 The paint is average, the engine and gearbox runs well. 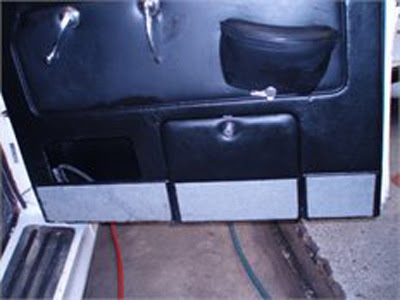 This car needs some TLC only a bit"
More to come regarding Radford adaptations. Where is it now please. John Lobb Ltd and Bentley.